But here’s the rub: I’m Jewish. And one thing that bothers me every year is that, despite how much I enjoy the Christmas season and all the music, I wish Hanukkah was better represented. Unfortunately, while Jews have written many of the most beloved Christmas songs (it’s true! ), we haven’t done a very good job of writing songs for our own holiday. So those Members of the Tribe who are looking for seasonal music are often stuck with Adam Sandler’s “Chanukah Song” — which was funny the first few times, but now, 13 years later, it’s just tired (not to mention totally outdated). Which is not to say there aren’t other options, some of which are much better than Sandler’s tune (and its multiple sequels) and are more than worthy of some play. They’re also way better than the silly parodies and a cappella versions that always get social shares this time of year. 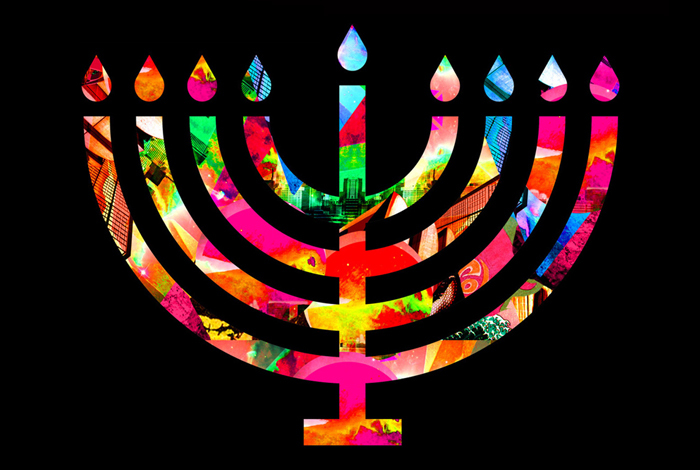 So I thought I’d do a public service and call attention to eight original, modern Hanukkah songs that should be listened to more often this and every other December holiday season. No doubt, the best modern-day Hanukkah song is this jam from the incomparable Sharon Jones and the Dap-Kings. Yes, really. The band’s Motown-infused sound is cool and funky, and Jones sings lyrics like “Gotta keep that shamash going right to left” like she actually knows what she’s talking about. Even better, unlike some other Hanukkah songs, this one isn’t filled with obvious rhymes and puns — just another reason why it should definitely get radio play every year. This song by Hasidic hip-hop artist Matisyahu is a pop-reggae jam. The lyrics celebrate that sometimes, while we’re bound to struggle and fall, our “strength comes not from man at all,” and it features a catchy beat and hook you can actually dance to. Yes, it’s another miracle: Matisyahu proves you can communicate some of the depth and spirituality inherent in the holiday in a legit radio-friendly package. Some people just need a little convincing, and in this fun duet from Stephen Colbert’s 2008 TV special, Jon Stewart tries to do exactly that, calling the Jewish holiday “a sensible alternative to Christmas.” The song is predictably funny, with the two comedians’ personalities coming through loud and clear (remember, this is from back when Colbert was doing The Colbert Report), but it’s also really catchy. Credit for that goes to songwriters David Javerbaum and Adam Schlesinger. It’s one of the greatest mysteries of the season: How do you spell Hanukkah? Does it start with a C or H, and how many Ns and Ks are there? Everybody seems to have their own preference, and in this song, the guys in this Guster-spinoff Jewish rock band (that, sadly, only produced one album) lament that there’s not a definitive answer — and that even words like antidisestablishmentarianism are easier to spell. I wouldn’t call this track by the “Istanbul” and “Particle Man” duo festive, but it has the same offbeat charm that made They Might Be Giants a favorite of my youth. The bittersweet song is a lament and plea to stop fighting before the last night of Hanukkah so the song’s couple can enjoy the holiday for once. Satirist Tom Lehrer is no idiot: In this playful, rhymetastic ditty, he shares his plans to escape “those eastern winters” at Hanukkah time, then rattles off the warm-weather locales he’ll be visiting for each of the other Jewish holidays. Not all of the rhymes are obvious — going to “Mississippuh” for Yom Kippur, for example — and that’s part of the fun. Finally, there’s this song, which probably qualifies more as classic than modern, but its timeless message makes it more relevant now than ever. Peter, Paul and Mary’s tune starts out like a classic, familiar campfire song, and builds to its climax, with the trio singing “Don’t let the light go out!” The lyrics talk about the light being justice, memory, and peace, and how these days, it’s everyone’s responsibility to make sure we keep those lights on and burning bright — long after the Hanukkah celebration is over. Amen. ← Do You Know These 70 People? You Should: They’re Making Social Media More Social! 8 Days of Hannukah by Sharon Jones and the Dap Kings was my favorite.